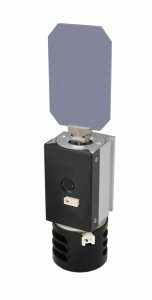 Exactly like our SilkScan-30, Nutfield Technology’s SP-30 Flexure-Based Galvanometer with capacitive position sensing offers exceptionally smooth scanning. With it’s square design, the SP-30 moving-magnet galvo is ideal for the most challenging applications such as small scan angle, high-duty cycle raster imaging, and printing. Cross-axis flexures replace ball bearings such that errors due to rumble and lubrication are eliminated, enabling smooth scanning, and long service life. 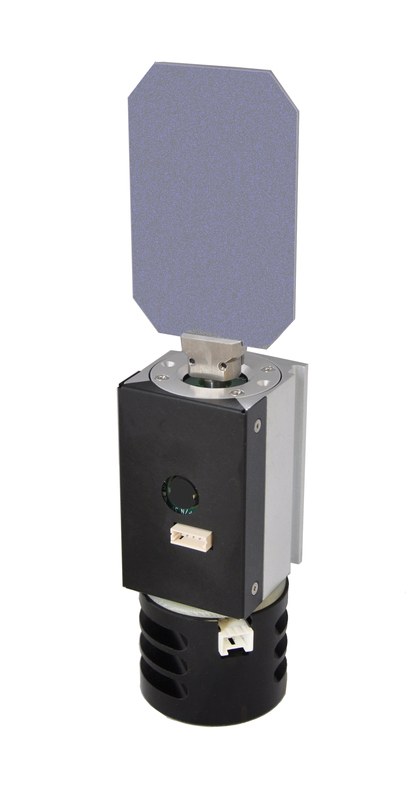 The SP-30 Flexure-Based Galvanometer is intended for large mirrors; recommended aperture is 20mm to 50 mm. It is ideal for use as the page scanner in raster imaging systems, having great smoothness at low velocity. It’s also great as a tracking scanner for viewing or marking moving objects or for stabilization in imaging systems. When integrated with Nutfield’s QD-4000 servo amplifier, the SP-30 Flexure-based Galvanometer Scanners deliver excellent speed and accuracy. Due to the spring force inherent in the flexure pivot, some scanning modes, such as large angle point and shoot, are not recommended. * Due to spring force inherent in the cross flexure pivots, some types of motion are not recommended. Continuous raster scanning can be performed at larger angles than vector or point-and-hold applications.